I’ve covered chia seeds in various articles in the health & fitness section but did you know that you can also get a beneficial oil out of chia seeds? Chia seeds originated in Mexico and have been part of the staple diet since the days of the Mayan empire. The seeds are rich in antioxidants and several nutrients helpful in hair growth such as iron, niacin & thiamine. All the benefits mentioned above can be found in chia seed oil as well. Chia seed oil is derived by cold pressing chia seeds. It is a pale yellow colour with a light nutty smell. The oil is rich in essential fatty acids and has the perfect ratio of omega 3 to omega 6. This means it’s one of the best sources of omega 3 for your body. Remember, our bodies isn’t very effective at producing essential fatty acids. Below is a short video showing how chia seed oil is extracted from chia seeds. It takes about 1kg of chia seeds to produce 125 ml of oil. So do you consume chia seed oil or use it on your hair? While there are some benefits to applying it to hair, its nutrients are better received through consumption of the seeds directly. It works best for your hair this way. You can also consume it. However, as a vegetable oil, it is a tad fattening. 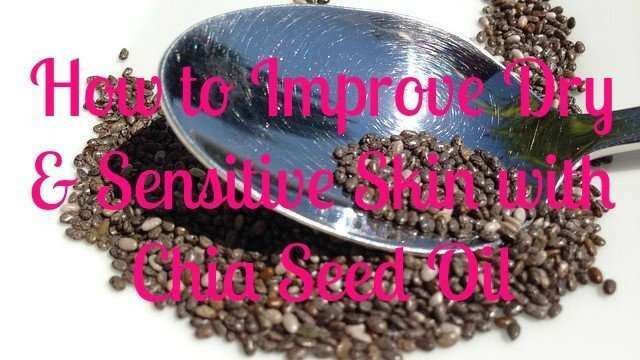 The best use of chia seed oil is on your skin. It’s especially beneficial for dry and sensitive skin. 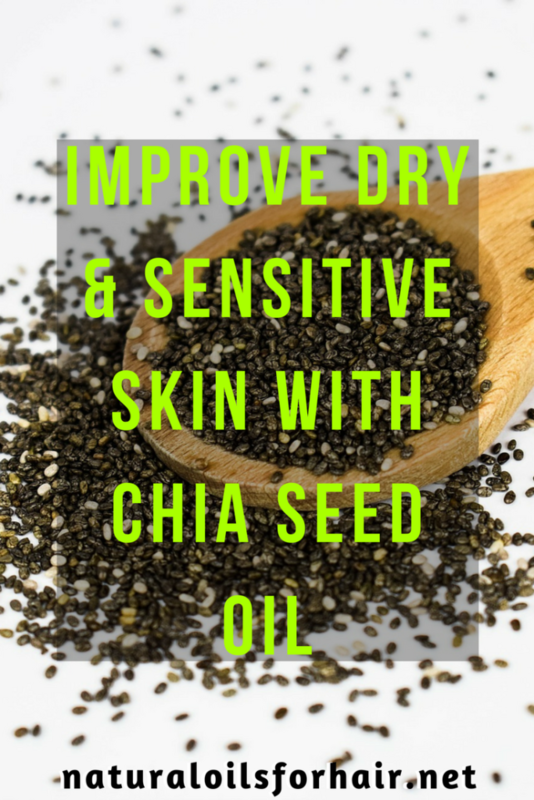 Using chia seed oil on dry and sensitive skin improves hydration, reduces water loss and eliminates itchiness. Continued use over time can also have a positive effect on wrinkles and prevent premature aging. Open the dropper bottle and fill halfway up with the chia oil (50%). Add tamanu oil (25%) and rosehip seed oil (25%). Close the bottle and shake vigorously. Your facial oil is ready. Wait for your skin to dry then apply a few drops of the serum and rub in until absorbed. This is a basic recipe to start testing out right away and see how your skin reacts to it as time passes. You can adjust the recipe but I wouldn’t recommend this until you have tried this for at least 6 – 8 weeks unless there’s a really negative reaction. Where to Buy Chia Seed Oil? If you don’t like tamanu or rosehip seed oil, you can try the chia seed oil on its own. You can also substitute one of the oils with marula oil. You can ingest chia oil as capsules too if you like. The capsules have a concentration of omega 3 fatty acids and is a convenient way to get the benefits. However, chia seeds work just as well for this purpose.